Great video blog about dogs – a well laid out wordpress theme for quality video using Viddler video. Refreshing to see a good use of the WordPress blog and well laid out themes to provide an excellent blog about dogs. The video production is excellent and recently featured on Leo Laportes TWIT network (Net@Night). He was right when he said that the site is clean and extremely well laid out. This guy is obviously passionate about his dogs and his photography/video. All the key information for the blog is located in the top part of the screen making this a very user friendly site. Full of technical photography and video tips – well work a visit! Balsamiq Studios LLC is a fresh little software company, focused on adding flavor to your Web Office suite. The “Mockups” application is an Adobe Air application that allows you to create really wonderful, free format mockups and layouts. The layouts have an earthy feel as they are all based on hand drawn controls (buttons, containers, tab controls, scroll bars, etc.). These layouts can be saved as either XML format (for inclusion in other programs) or as PNG files (graphic images). Overall the program is a joy to use and fully covered by numerous YouTube video tutorials on Balsamiq. The interface is easy to use and slick; I could easily move things around and create impressive layouts very quickly. The software is free to bloggers and charitable organisations plus those who are willing to spread the word (seminars or exhibitions, etc.). I only put links to products on my blog that are worthy and this product certainly falls into that category. The software comes with an impressive array of pre-built graphics that are all scaleable; so any layout can be quickly created and discussed. I see the product as a great prototyping tool that is ‘fun’ to use and fast (Adobe Air). The complete layout can be exported in XML format and easily reformatted into other formats, for example XAML code within Microsoft WPF or C# programming. Finally the software integrates well with some opensource wiki’s enabling you to create layouts for the customer and then even let the customer use the tool online and change the layouts – brilliant! Life’s too short for bad software. Most applications have too many buttons, are ugly and boring. We focus on small problems, so that we can solve them really well. Desktop Sharing – Remote Control – SupportTeamViewer establishes connections to any PC all around the world within just a few seconds. You can remote control your partner’s PC as if you were sitting right in front of it. 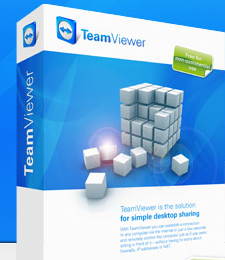 Find out why more than 15.000.000 users trust TeamViewer! Simple – fast – secure. IdeaMason is software for the way you think and write! IdeaMason brings together the database elements of both a bibliographical and information management tool in combination with a virtual writing platform. Store and categorize ideas and research in one comprehensive portfolio. Collect and manage sources in a virtual library. Then use IdeaMason’s revolutionary Composition tool to organize your ideas and manage referenced sources in a single efficient step. When you are ready IdeaMason exports your work into a fully-formatted document complete with footnotes and citations. IdeaMason automatically generates a complete bibliography (including annotations) in your choice of the following major styles APA, MLA, Harvard Citations (UK & Austrialian variations supported), Chicago Notes-Bibliography, & Chicago Author-Date. Next Next post: LiveWriter update, KML and Google Maps, Google Maps API and AJAX, Google SearchWiki. I am using teamviewer right now. I am in love with this tool. I’ve found it works most of the time. Has failed on me a couple of times but could be the PC environment. Considering it’s free – can’t be bad! pleasure – it’s a great site.